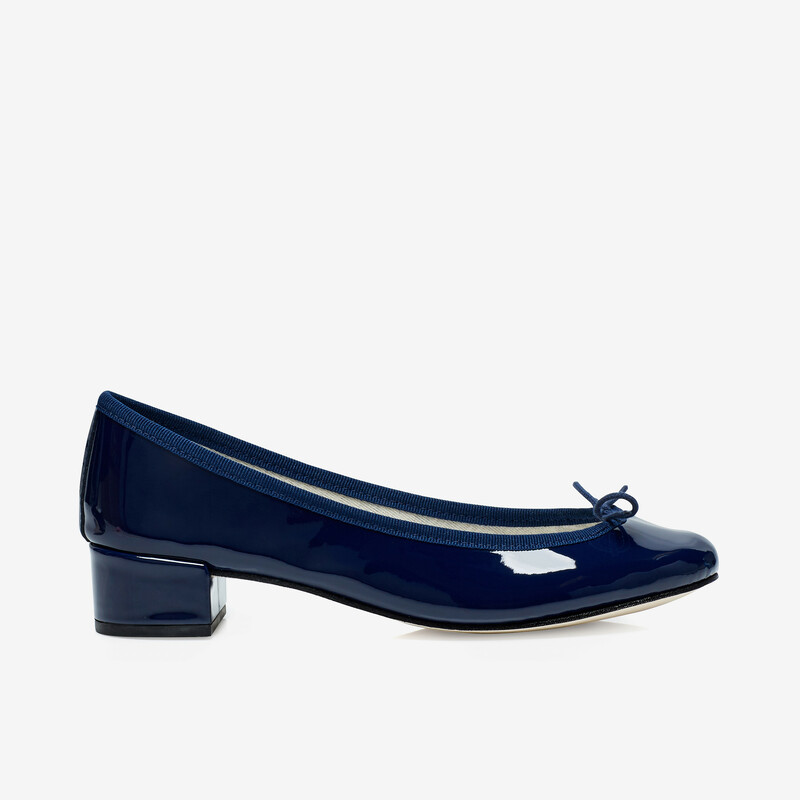 Blue patent leather ballerina pumps from Repetto featuring a chunky, covered block heel. 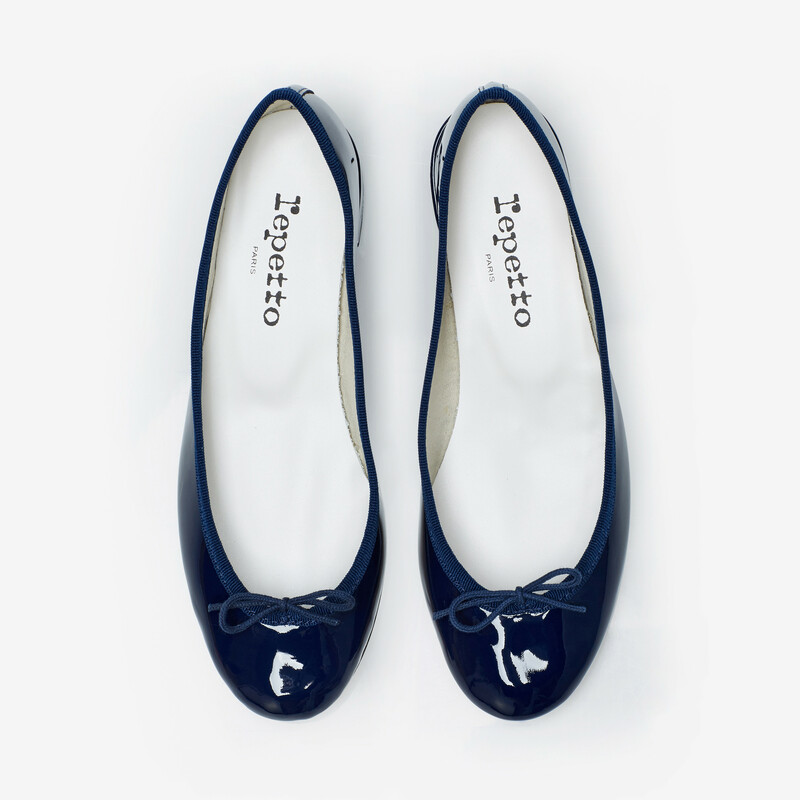 The shoes are made using a ”stitch and return” technique where the sole is stitched inside out and returned, offering incomparable softness and comfort. French sizing. 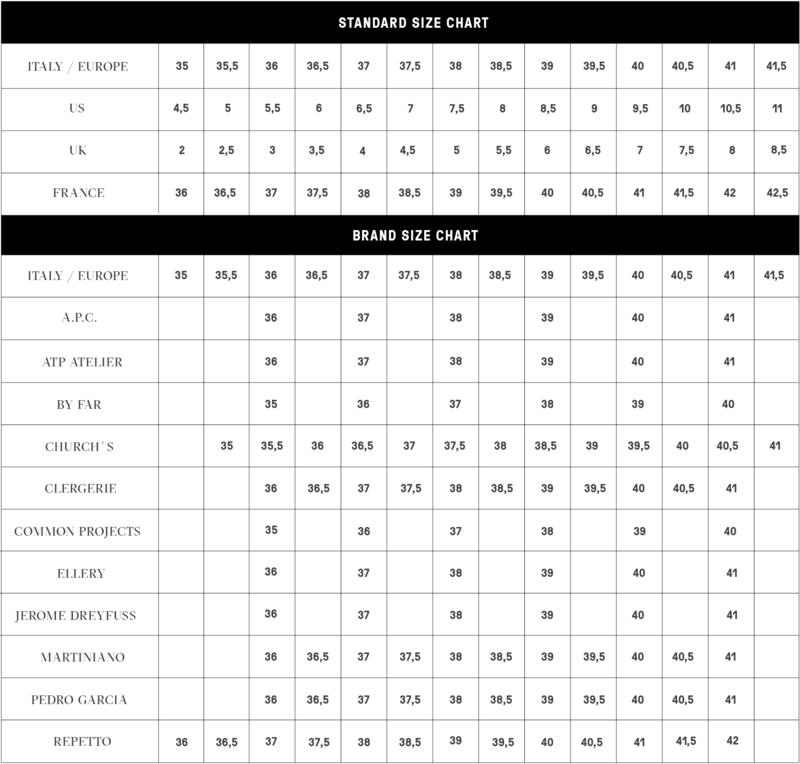 Please view our size guide for further info. 1 x Camille Blue was added to your shopping bag. 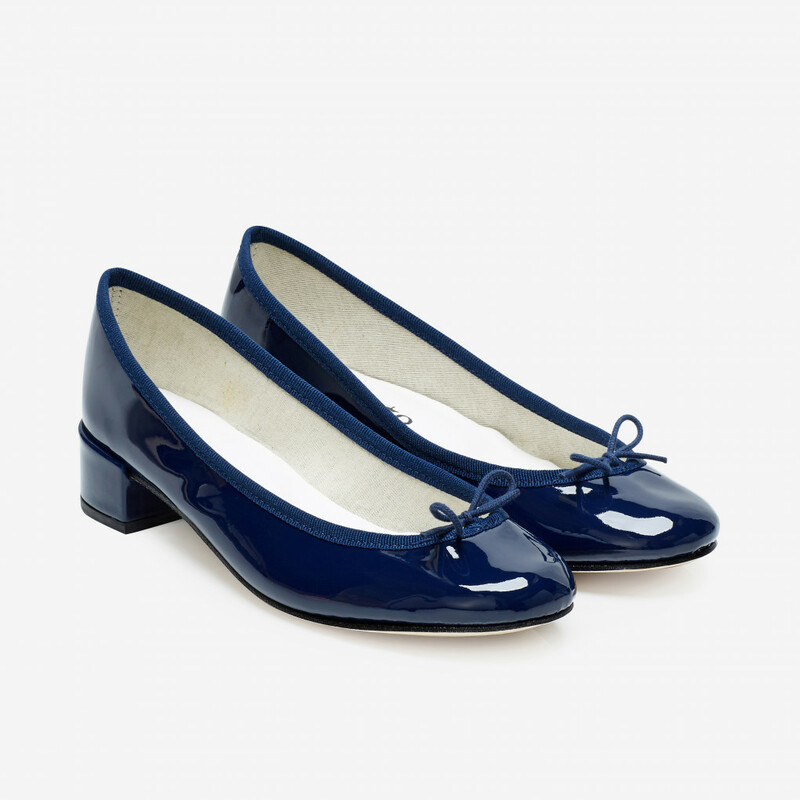 1 x Camille Blue was added to your wishlist. Free DHL Express shipping for all orders over 350€. Fast and Insured. Delivery within 1-3 business days depending on the destination. We'll handle and insure the return shipment for you. The return shipping fee; 5€ for Finland, 10€ for Europe and 15€ outside EU. Minimalnordic.com offers a carefully edited line of established top designer names and researched emerging brands guided by the Nordic design philosophy – simplicity, minimalism and functionality. 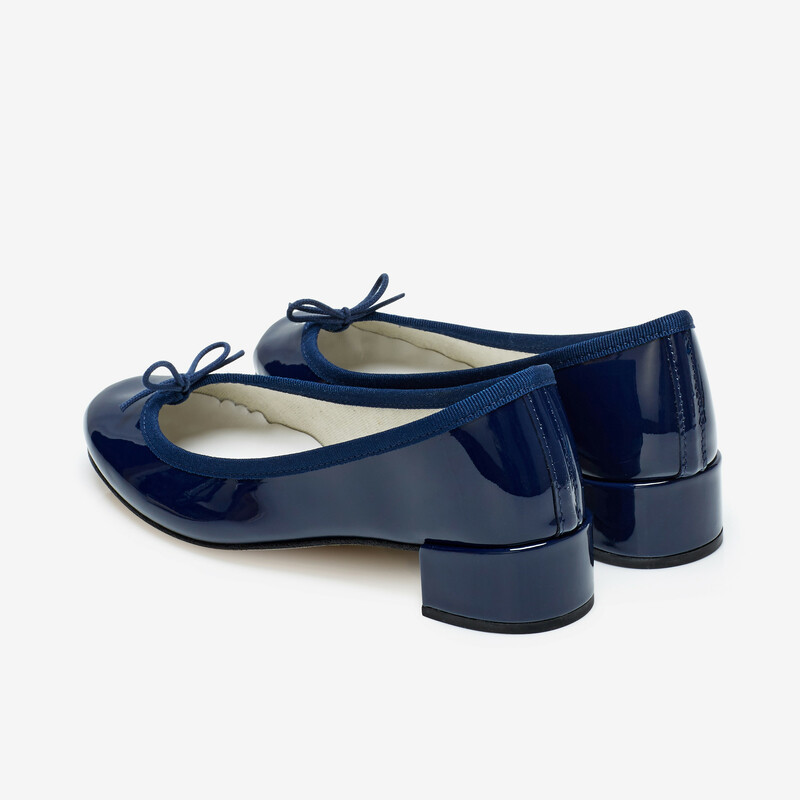 Our selection features women´s shoes, bags and jewellery from both international and well-known Scandinavian designer brands. We bring together timeless wardrobe stables and personal statement pieces that forms the foundation of any good wardrobe. Our selection reflects the most current fashion trends, a mix of easy-to-wear and versatile neutral-toned fashion. We truly believe in the products we carry and that a well-designed product can have a very real and tangible effect on our everyday lives. In order to make shopping easy and effortless, we offer worldwide deliveries, quick and easy return service and secure international payment options. Also, tax-free shopping is available for customers outside European Union. We hope you enjoy your online shopping with us at Minimal Nordic.